Aeros, based in Southern California, produces an integrated border surveillance EEWS with expanded capabilities for persistent air and surface reconnaissance and target tracking/identification, while addressing mission duration and cost efficiency. The system incorporates advanced radar technologies from FLIR, imaging technology from Selex ES, and will illustrate sea, air and land-based vehicles, their movement and direction. NADATS’ EEWS integrates numerous sensor packages including AESA radar with ground-moving target indication (GMTI) capability, electro-optic and infrared HD imaging system, and geo-locating moving map software for empowerment and simplified use by operators. 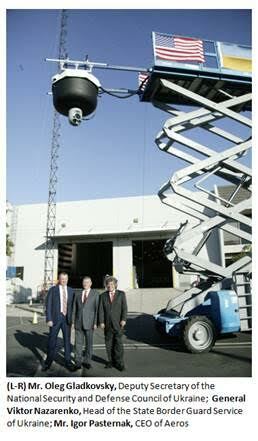 It will help detect aircraft, vehicles, personnel and UAVs operating within the air and surface environments. The system provides enhanced capabilities and mission scalability, and was selected in part for its simplified integration with existing systems and technology now employed by the State Border Service of Ukraine. A division of Aeros, NADATS is a resource for integrated and cost-effective defense and security systems for persistent surveillance missions, built upon Aeros’ portfolio of aerostats, airships and elevated ground-based platforms. The division provides mission support for soldiers, agents and commercial operators, leveraging Aeros’ unique expertise with elevated surveillance. NADATS’ airships, aerostats, and elevated ground-based platforms have been engineered to help make vigilant or persistent surveillance missions affordable. NADATS integrates custom, mission-specific payloads for empowering awareness and action in hostile environments, in border and coast guard, in facility and event security, and for related missions. 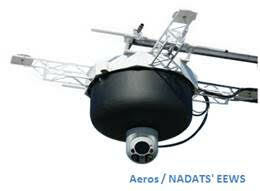 About North American Defense Advanced Technology Solutions (NADATS): a mission-focused division of Aeros, the world’s most innovative FAA-certified lighter-than-air (LTA) aircraft manufacturer, NADATS delivers integrated solutions for persistent elevated situational awareness in a global environment of growing need. NADATS custom design capability and portfolio of advanced airships, tethered aerostats and ground based early warning systems provide military and para-military operators with cost-effective solutions to detect, interpret and respond in surveillance, security, and asset protection scenarios. NADATS is driven to deliver efficient day/night monitoring, imaging capability, and communications solutions for operators in hostile environments, border/port security, law enforcement/ public safety, event security and safety, and facility and infrastructure monitoring, among others. Learn more at www.NADATS.com.